Forrest is a fine fishing guide located in Casper Wyoming. He guides the Grey Reef, Miracle Mile, Fremont Canyon, and Big Horn Rivers. Forest’s passion for fishing and the outdoors is infectious, growing up among a multitude of blue ribbon trout streams in Southwest Montana his love for fishing and the outdoors runs deep. Throughout the years, he has guided in both the fishing and hunting industry. He strives to turn each trip into an enjoyable time for all level of anglers. Forrest finds his enjoyment in meeting and teaching others, and believes learning is a process that should never end. 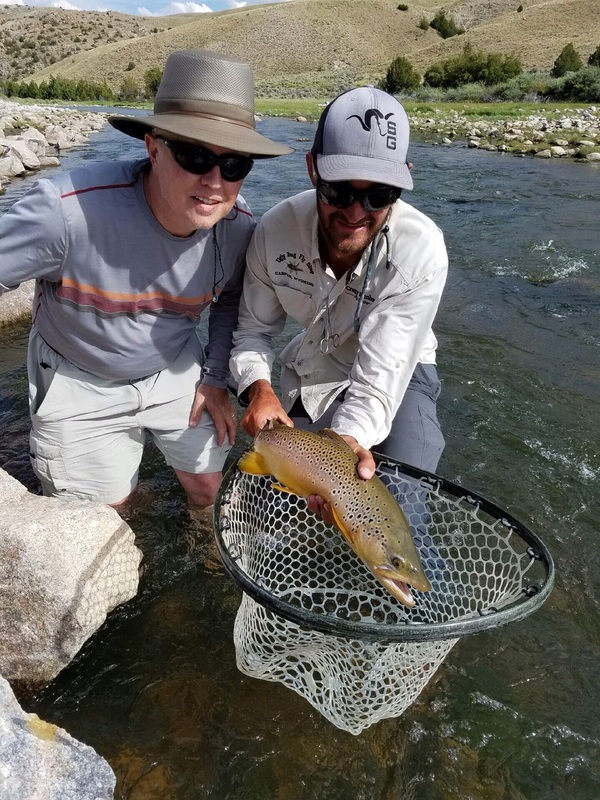 Forrest moved to Casper to pursue his full-time guiding career on the North Platte River and Big Horn River. ‘ In my opinion the Grey Reef, Miracle Mile and Fremont Canyon hold some of the most exciting and productive trout water in the lower 48′ forest states.’ Forrest also attended Azusa Pacific University to study business and competed in track and field. His competitive nature will always be working to your advantage as he does his best to make your day successful. Forrest met his wife Renee while running at Azusa Pacific. They have two energetic boys Zealand and Finn.